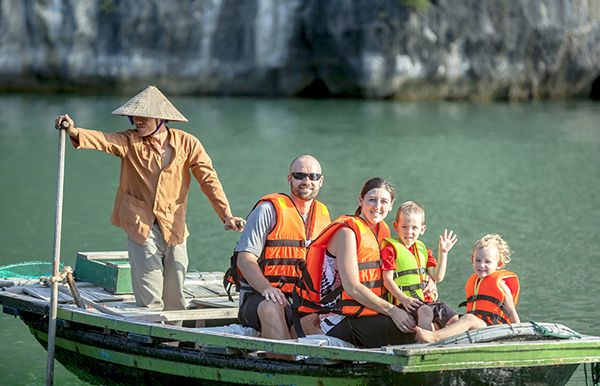 Vietnam through the eyes of foreigners is a beautiful country that has an intriguing history, rich culture, special festivals, breathtaking landscapes and friendly locals. From North to South, each region steals visitors’ heart by their own magnet. That’s why our Vietnam highlights tour is ideally designed to make the most out of your trip to this S-shaped country by featuring the best of best. 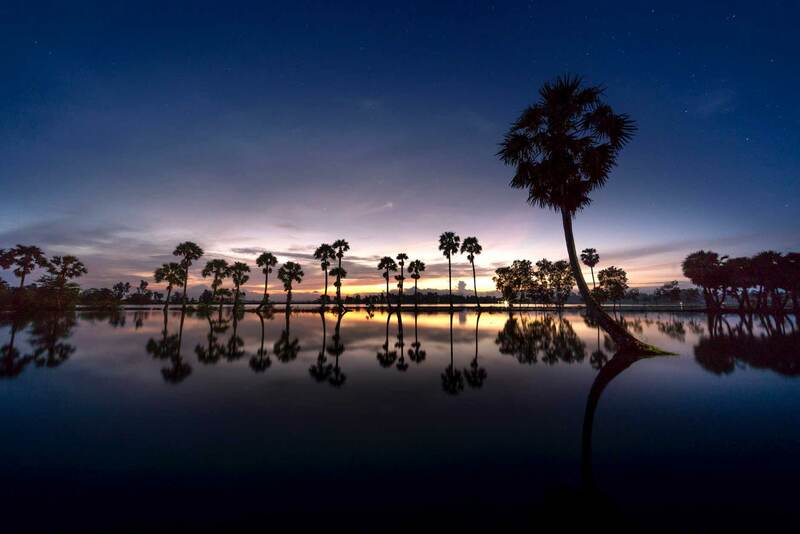 Via landing on outstanding and must-see destinations, you will have a chance to get a general and all-encompassing vista of Vietnam, in addition to having in-depth cultural discovery along the way. From the tranquility of Hanoi to the incredible landscapes of Hoi An and to the buzzing life of Ho Chi Minh City, everything is just gorgeous and meaningful that promises an unforgettable journey. Let’s discover and enjoy on your own now! 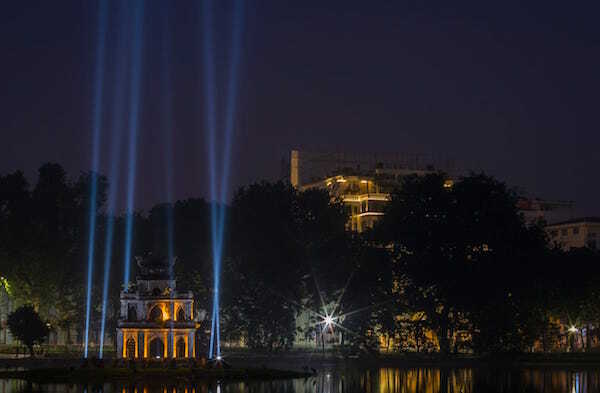 As the cosmopolitan capital of the S-shaped country, Hanoi seems to be the beginning point for many visitors to explore the North. 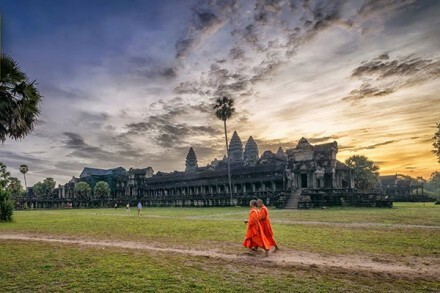 Thanks to the age-old history, this place becomes ideal to contemplate national museums, ancient Buddhist temples, as well as get a taste of Vietnam’s traditions. In the first day of the itinerary, you should take a relaxing promenade around the Old Quarter and take a first glimpse at the friendly city before fully discovering it in the next day. The second day allows you to check in some major and magnificent attractions around the city. To help you get a bright perspective on the country’s history and culture, the following are highlights of our Hanoi City tour: Visit Ho Chi Minh Mausoleum to directly see the embalmed remains of Uncle Ho – the country’s Great President. The mausoleum is now situated in the heart of Ba Dinh Square, where Uncle Ho powerfully read the Declaration of Independence on September 2, 1945. Visit Ho Chi Minh Mausoleum to directly see the embalmed remains of Uncle Ho – the country’s Great President. The mausoleum is now situated in the heart of Ba Dinh Square, where Uncle Ho powerfully read the Declaration of Independence on September 2, 1945.Drop by Temple of Literature – a temple of Confucius in the capital. You are amazed to know that it functioned as the first university in the nation. Drop by Temple of Literature – a temple of Confucius in the capital. 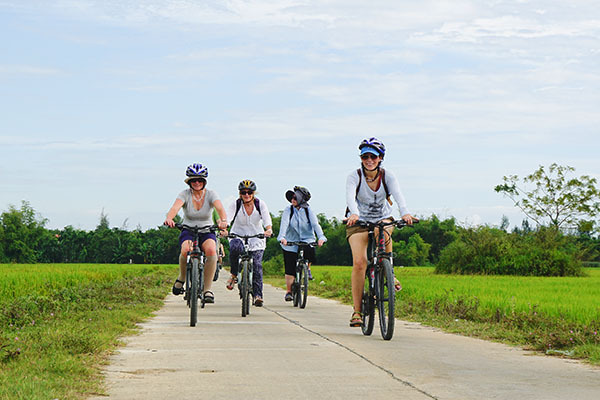 You are amazed to know that it functioned as the first university in the nation.Experience a cyclo trip around every corner of Hanoi to understand how the locals spend their daily life. Enjoy traditional performance of water puppet in a theater. Don’t forget to take imposing pictures for later memories. Without a doubt, Halong Bay has been listed as a World Heritage Site by UNESCO, thanks to its irresistible natural beauty, universal aesthetic value, as well as surprising biological importance. Fascinatingly, over 2,000 islands here seem to float on the water and are then covered by jungle vegetation. Furthermore, huge caves and grottos are spectacularly presented in front of your eyes. A kayaking tour is surely the best way to deeply and fully explore them. In the afternoon, watching the sunset with a refreshing drink in hand from the deck of a junk is truly one of the most relaxing ways to enjoy the life. After a deep night on the cruise boat, you should rise early to partake in Tai Chi lessons held at 6.AM every day. Don’t want to join? Then, get out of bed and contemplate how beautiful and spectacular the early morning on boat is. After having breakfast, you will continue the discovery by learning more about the formation of karst caves. Next, gather on a smooth flight from Halong to Hue that is home to many former Kings of Vietnam. It used to be the capital city which thrived and flourished in the past. Geographically located in the centre of this long nation, Hue lies in a mountainous valley that ideally creates a natural barrier to the rival forces. Plus, the Perfume River is also an emphasis there which allows it to boom. What to do in the royal city? Let Vietnam highlights tour give you meaningful experiences by the following checklist that includes top things to do in Hue. Let’s start exploring what your favorite choices will be! Contemplate the 2 most visited tombs in the city, namely Tu Duc and Minh Mang, which were built and designed during the emperors’ lifetime. Visiting the Imperial Citadel allows you to not only marvel at magnificent architecture, but also take a picture of yourself in royal costume set on the throne of the Emperor. 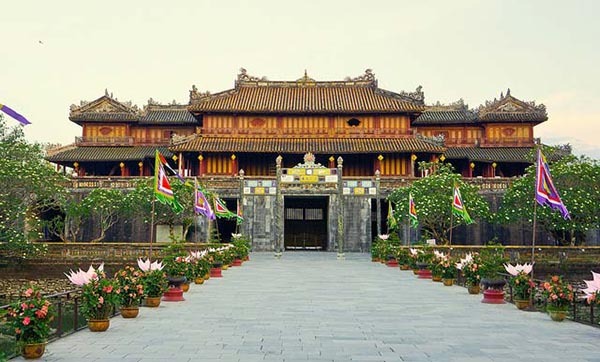 Then, let’s continue the itinerary by paying respects to Thien Mu Pagoda for a spiritual trip. Settled on the North part of Perfume River, Thien Mu pagoda is easy to access by bicycle or by a dragon boat along the river. Discover the city’s nightlife that is very lively and beautiful. You may hop from restaurant to restaurant to enjoy Hue specialties with a cool Huda beer. 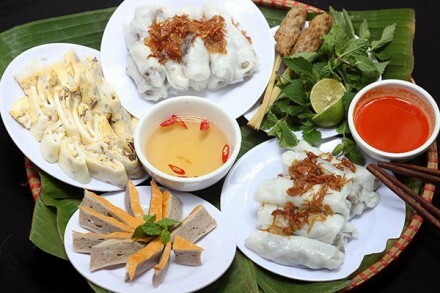 Satisfy your stomach with delicious royal cuisine that boasts more than 1,000 specialty dishes, like Bun Bo Hue, Banh Beo, Banh Nam, Banh Loc, Phu The Cake, etc. The itinerary for the 6th day will be divided into 2 parts. First, you will leave Hue for Hoi An in the morning. The distance between these places is about 145 kilometers. So, it can take about 3 to 6 hours, depending on the time you stop on the way. 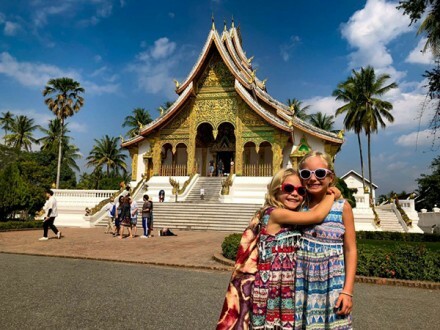 During the route, there are many reputable heritage places to spread your eyes on, such as Lang Co Beach, Hai Van Pass, Cham Museum, and Marble Mountains. You should not miss a wonderful opportunity to take many incredible photos of the surrounding. Second, you check in Hoi An Ancient Town at noon. 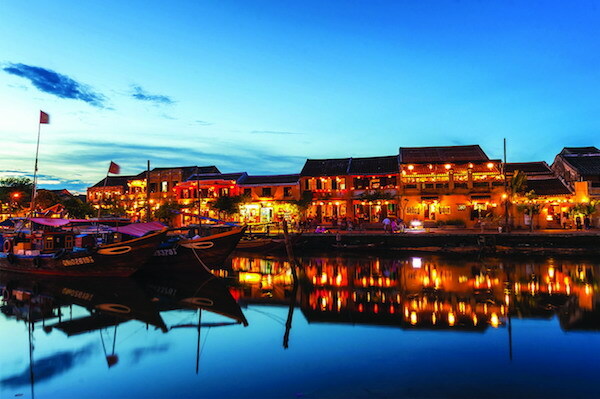 Tranquilly located on the banks of the Thu Bon River, Quang Nam Province, Hoi An today stands out as one of the popular tourist destinations in Vietnam. 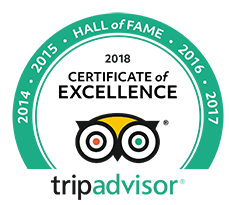 Its big magnets include old communal houses and buildings, tailor-made customized clothes, trading streets, amazing food, and so on. 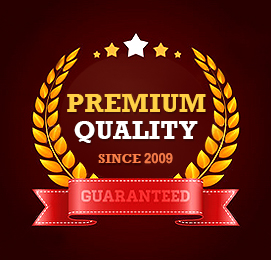 So, what to do for a fully memorable experience after arriving in there? Admire the Japanese Bridge: This is exceptionally the only covered bridge in the world that houses a Buddhist temple. What makes the bridge incredible is that it has retained an obviously Japanese character. See the Fujian Assembly Hall: Built in the 17th century, Fujian Assembly Hall is known as one of the grandest buildings in the town. Spend free time wandering around the streets in and out of the shops and cafes to perceive the peaceful life and feast your eyes on the ancient and brilliant architecture. Sample terrific local food on streets. Try a tailor-made suit as a memory for the trip. You can directly buy or ask to tailor a suit or dress from the shop. The tailors are able to make it in one day for you. Missing Hoi An cooking class is a big pity of your lifetime! According to Lonely Planet, taking part in a cooking class in Hoi An is one of the top ten iconic travel experiences as well as one of the leading reasons to visit the town. This day, you will be invited to Red Bridge Cooking School on foot and join in an exciting class with joy. The class enables guests to cook with some of the freshest ingredients, learn dazzling secrets behind each dish here, along with trying their best to memorize and bring home such unique flavors. 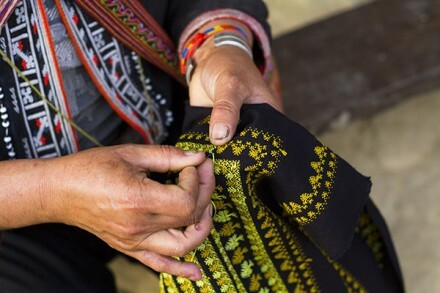 In free time, don’t forget to stop by a few famous traditional handicraft villages in Hoi An, i.e. Thanh Ha Ceramic, Kim Bong Carpentry, or Thanh Nam fishing village. Or, if you want to stay close to nature at best, then My Son Holy Land is another alternative. Get ready to mingle with the lively vibe of Ho Chi Minh City? The Reunification Palace: Also called Independence Palace, it is greatly remembered as a marked end to the fierce war. The Central Post Office: It prominently becomes the biggest and busiest post office in the city. Notre Dame Cathedral: As one of the most reputable landmarks in Saigon, the Cathedral becomes an alluring place for both Christians and non-Christians to come. The building is mostly based on French style. Ben Thanh Market: The market is busy and bustling in both of the daytime and nighttime. Of course, you are able to shop around for the items of favorite or simply go for a soothing stroll to get peace of mind. 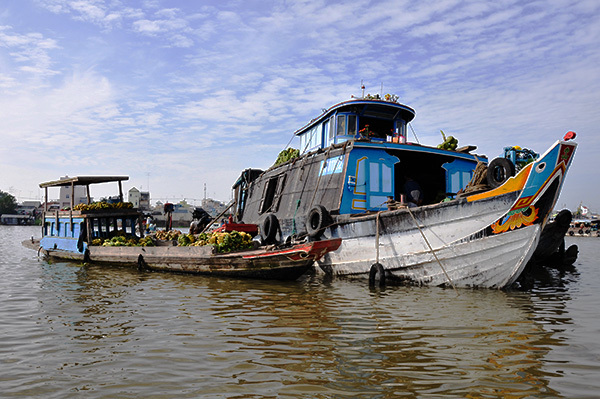 Spread your eyes over mighty Southern channels and endless rice fields from both sides by a sampan trip. Enjoy the seasonal tropical fruits, specialty cakes, and get yourself immersed into the traditional music ambiance performed by the local inhabitants. Learn what “Von,” “Vo” and “Cau Khi” mean while in there. Sample a delicious lunch made from healthy tasteful food. Don’t skip watching rice husk, pounding rice, and rice floor fan or just taking a promenade around a temple. Yes, it is time to end your 10-day trip in Vietnam. Just do whatever you want before departure, such as walking down the streets, buying something you like as gifts for your beloved ones, taking pictures, etc. Hope that you will enjoy an unforgettable trip through our nice and caring Vietnam highlights tour. Wish to see you again in other next journeys!